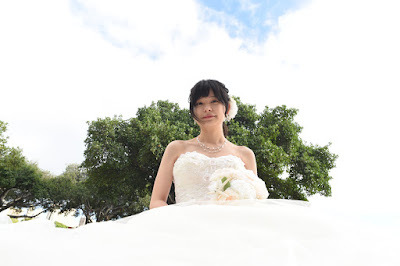 Lovely Bride Namiko at Ala Moana Beach Park. Beautiful wedding dress suits her well. White and soft beige flowers match the Bride's fair skin and innocent look.